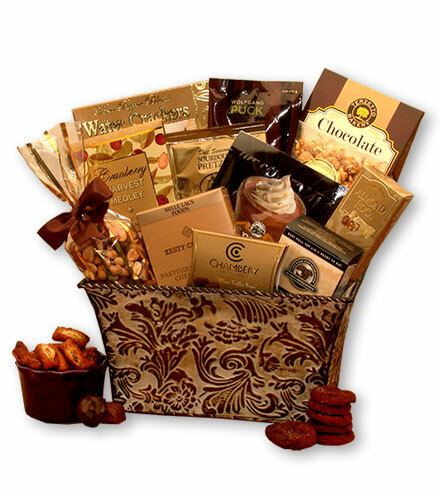 This gourmet gift basket, enclosed in an embossed gift tin, is brimming with an abundance of savories and sweets, including chocolate truffles, pretzel sourdough nuggets, toffee, salmon spread, coffee, cheese spread, nuts, and more. Perfect for any occasion, send as a message of congratulations or as an office holiday gift. This package is also perfect to send as a birthday gift for him or for her, mile-stone anniversaries, and get well.